Doc-S: Good to see you back. 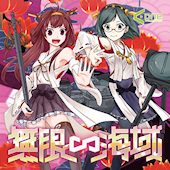 Club arrangements of KanColle themes, from the makers of Toho Eurobeat. Mostly eurobeat, but it’s good to see DJ Command still producing. How often do you visit Dancemania EX? More than once a day.